Wounded Times: UK:Thirty years on has anything really changed for our firefighters? UK:Thirty years on has anything really changed for our firefighters? 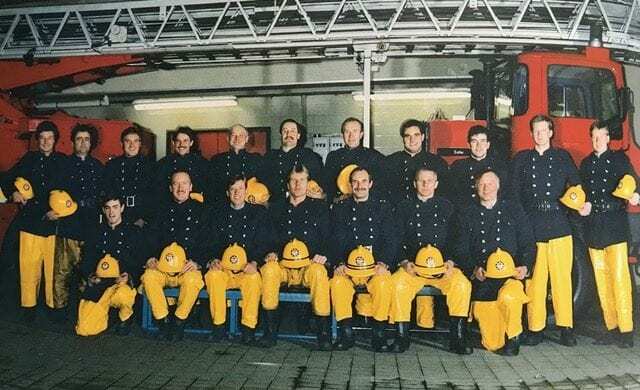 Kings Cross fire: Thirty years on has anything really changed for our firefighters? For ten years, Roger Kendall couldn’t go into the underground. He worked at a fire station in Soho, but would travel on foot or by motorbike - never on the Tube. For him, it hadn't felt safe since November 18, 1987, when, in the middle of rush hour, flames tore through the underground station at Kings Cross. "I felt ill and started sweating any time I went near the underground, so I wouldn't go on it," says Kendall. "I avoided it, it didn't feel safe. It took me over 10 years to get back on an underground train." The former firefighter was one of the first on the scene at the devastating Kings Cross fire, in which 31 people died and 100 were injured. On that night, 30 years ago today, he watched countless people be engulfed in smoke and found himself saying goodbye to his boss - and role model. After the blaze eased, Kendall’s firefighters started to emerge from the underground. He noticed a number of them had urinated themselves out of fear. What he didn’t see, though, was Townsley. Townsley had died, aged 45, leaving behind a wife and two teenage daughters. “It was just devastating,” says Kendall.